Licensed Practical Nurse (LPN) - Bring your Nursing experience to our growing, mission-driven organization! Come join our team supporting individuals with disabilities; children with emotional, behavioral or medical complexities; children and adults with brain injury. The LPN role is critical to our success and exemplifies the wonderful mission driven work we do here every day. This is a fantastic role to continue your nursing career path within Social and Human Services, and work within a setting that offers variety and rewarding challenges within group home settings. 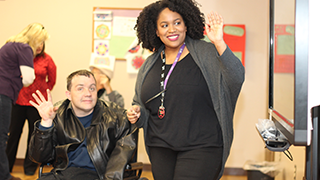 As a LPN with The MENTOR Network, you will provide nursing services, training and support to address the medical and psychiatric needs of individuals with developmental disabilities and/or emotional or behavioral challenges. Each of our programs is designed around the needs of the children and adults we serve and delivered in the communities they call home. We provide the right balance of service and support – combining personal choice, flexibility and community integration with professional oversight, family involvement and stability. Our Nursing positions enjoy high-impact with those we serve while providing flexibility with your schedule and location while having career options to move up and across the organization. Effective communication skills a must – ability to communicate clearly with team members, medical professionals, those we serve, and their families. Founded in 1980, The MENTOR Network is a national network of local human service providers offering quality, community-based services to adults and children with intellectual and developmental disabilities, brain and spinal cord injuries and other catastrophic injuries and illnesses, and to youth with emotional, behavioral and medically complex challenges as well as their families. We have a great work environment, and you’ll be surrounded by a strong and supportive team of peers, leaders and colleagues. With approximately 30,000 employees serving 30,000 individuals in 35 states, you'll have career opportunities from coast to coast.